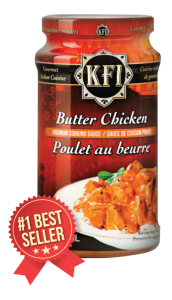 Learn about the traditional spices and herbs that are used in KFI's incredible sauces and recipes. 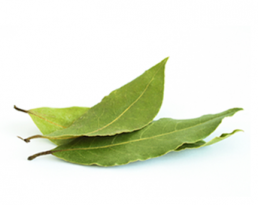 It’s also known as Indian Bay Leaf. These leaves add a cinnamon-like taste to dishes. They were used in the Imperial courts in Delhi and Agra. The ancient Romans used them to make perfume. Salty, violet-coloured and with a hint of sulphur – Black Salt is often added to chutneys and other snacks for its distinctive taste. It also has a unique sulphur smell. In Ayurvedic medicine it’s used as a cooling spice and a digestive aid. This spice is often used in traditional Indian sweets for its warm, almost mint-like taste with just a hint of lemon. 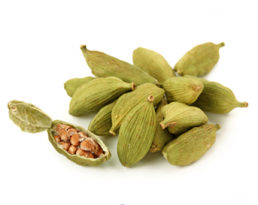 Cardamom seeds were used by the ancient Egyptians to clean their teeth and the Greeks and Romans used it as perfume. They look like cumin seeds, only smaller and taste like a stronger version of thyme. 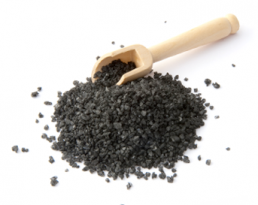 Carom seeds are used to flavour vegetable dishes and pickles. Prized for their distinctive taste and preservative qualities, ajwain is also used to aid digestion. Cinnamon was so highly prized at one point that it was thought a suitable gift for monarchs. It’s sweet and warm tasting and cinnamon bark can be eaten directly. 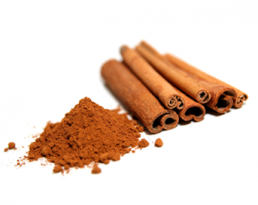 Curries, masala chai, vegetable dishes and of course desserts are enhanced by cinnamon. Did you know that a clove tree was an evergreen? Dried cloves are one of the ingredients of masala chai and part of the mix for garam masala. Their spicy taste is strong, so they are used sparingly in cooking. 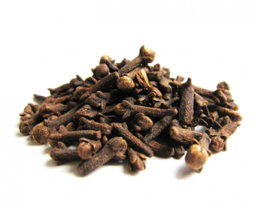 Healers have used cloves for centuries for digestive problems. 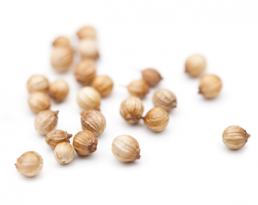 The coriander seed is an important ingredient in curries. Dhana dal is a snack food made from roasted coriander seeds. Coriander has a distinctive taste, is high in calcium and in North America the leaves are called cilantro – the Spanish word for the plant. As a spice, cumin is second only to black pepper in popularity. It’s sometimes confused with caraway, but cumin has a lighter colour and a hotter, more aromatic flavour. 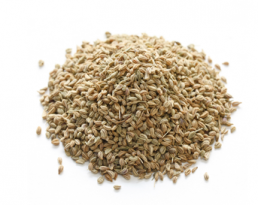 Cumin is part of the parsley family and is well-known as an appetite stimulant. Did you know that India is the largest producer of fennel? 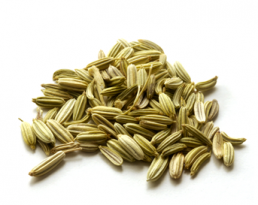 Roasted fennel seeds –not to be confused with anise – are used to freshen breath and as a digestive. Fennel is highly aromatic and flavourful and is sometimes used to flavour natural toothpaste. Used in the commercial production of mango chutneys, fenugreek or methi has a burnt sugar taste. It’s also used extensively in curry dishes. 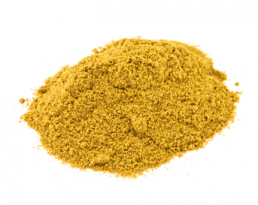 India produces the most fenugreek in the world. 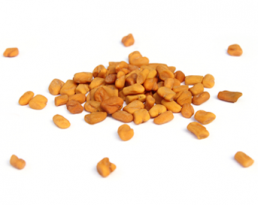 India also has a very low rate of arthritis, which fenugreek is reputed to help. Nigella, or sometimes called ‘onion seed’ looks a bit like sesame seeds. Peppery and a bit nut-like, these tiny seeds are added to naan, curry, stews and dal. 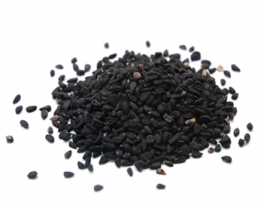 Nigella or kalonji has been used as an herbal remedy for over 2,500 years. Slightly sweet, it’s used most often in desserts, some savoury dishes and just a pinch or two in garam masala. 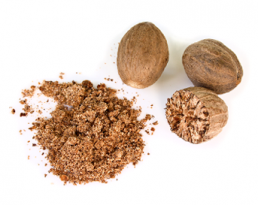 Nutmeg and mace come from the same tree and at one time both were highly prized and costly. A nutmeg tree takes 20 years to become fully producing. This fruit is often used in place of lime juice for the sour quality it can add to a dish. 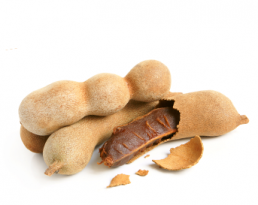 The taste is more of a sweet and sour combination and the tamarind is loaded with B vitamins and odd for a fruit – calcium. Tamarind or imli is used in the production of Worcestershire sauce.